The miniROMDAS is a streamline version of the full ROMDAS system. 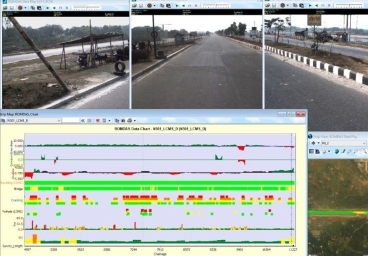 It is designed as an easy to install, portable and cost effective option for customers who only need to collect road roughness and/or GPS data. The miniROMDAS, with the Bump Integrator module stands out from other Class 3 roughness systems thanks to its competitive price, robustness and use of proven technology. 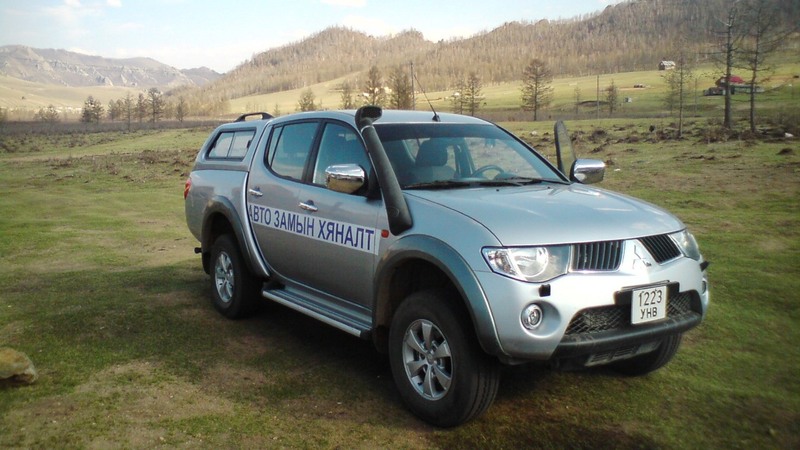 The system is unaffected by wet, unpaved and rough conditions. 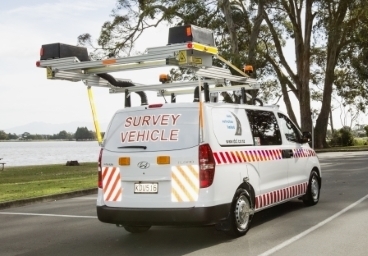 Even with a minimum operating speed (10km/h), operators encounter fewer delays or need to resurvey during projects. The system records roughness data from either one or two Bump Integrators. The most common configuration uses a single Bump Integrator connected to the center of the axle. 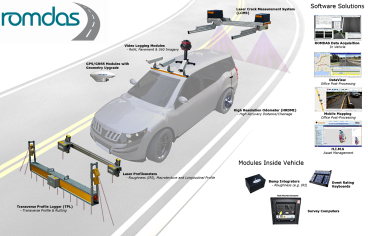 In the case of vehicles with independent rear suspension two Bump Integrators are used to collect data from each wheel path. 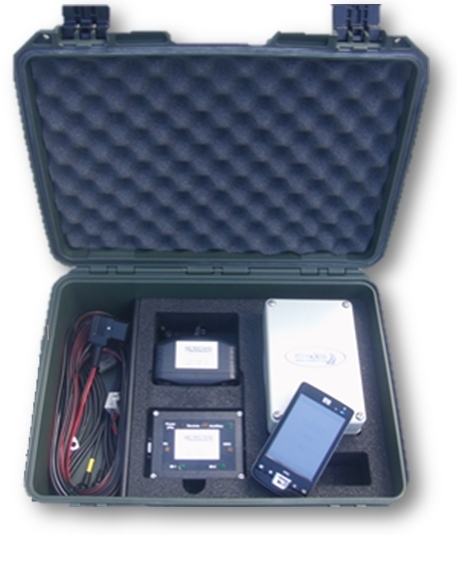 The miniROMDAS system uses a hand held data logger with Windows Mobile operating system. 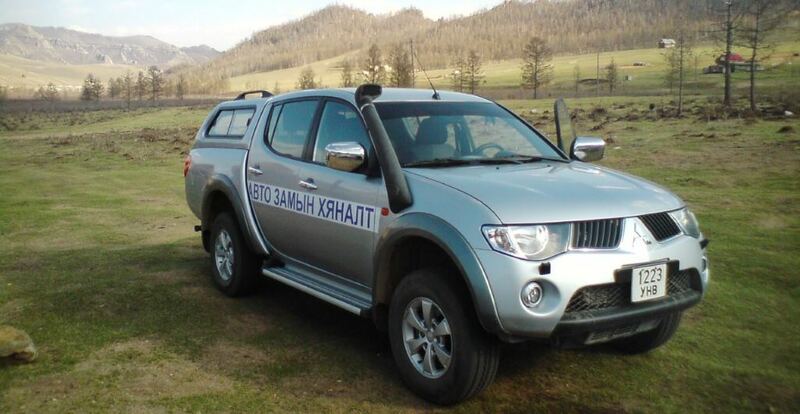 Without requiring a laptop or computer system, all roughness measurements are recorded automatically and based on the user-defined roughness sampling interval. No restrictive proprietary data formats also mean data is easily formatted and imported into almost any asset management system of GIS mapping software (if used with the GPS upgrade). One screen display for easy and reliable use. Simple to operate so minimal training is required. Easy to download data to computer with USB or Bluetooth. 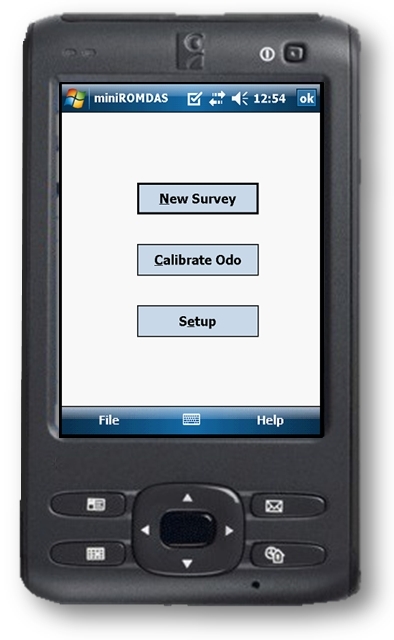 A step by step calibration wizard for odometer calibration. Roughness recording that is fully automated over user-defined sampling intervals. Data is processed with ROMDAS Data Aquisition Software and output in Microsoft Access (.mdb) files. The miniROMDAS software is designed to run on the Windows Mobile operating system. 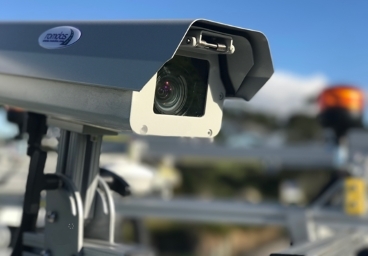 Once it is installed it will automatically collect and integrate distance, speed and road roughness data as well as GPS (optional). 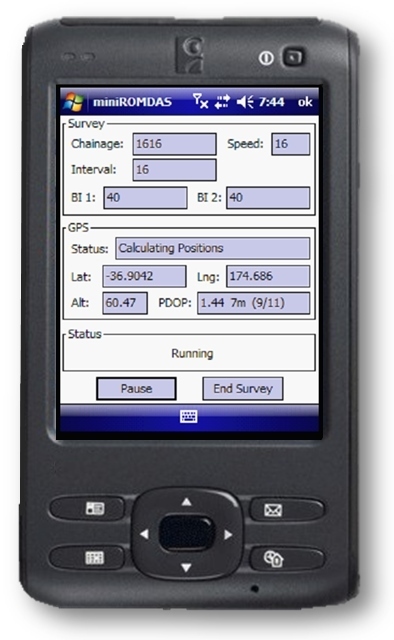 Data is then uploaded from the hand held data logger to a PC with ROMDAS Data Aquisition Software. The data is automatically processed using roughness calibration coefficients into a Microsoft Access .mdb file with the roughness output in IRI (or any other roughness index that the system is calibrated to).